Customize Your Wesley Hall Furniture… It’s Easy! Have you ever found the perfect sofa… except you didn’t want it to have a skirt? Or a great chair, but the arms weren’t quite right. Or an ottoman, but the feet just weren’t your style? Whatever you’re thinking, you can achieve it with Wesley Hall Furniture from the Guest Room! With their Signature Elements program, you can customize your furniture from start to finish. Pick style, frame, fabric, trim, feet, arms, back, cushion treatment, sleeper, seat depth… everything! From timeless traditional to sleek metropolitan, you can create a style all yours with Wesley Hall. And, best of all, the quality is superior. 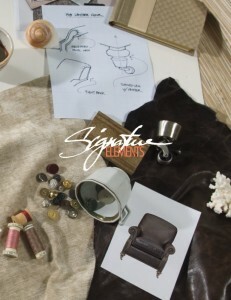 Click here to check out their Signature Elements brochure and see how easy it is. Then visit the Guest Room to get started!